Nitpicking the Passive Voice: NY Times False Balance on Climate Change? Today’s New York Times piece on the slow death of coal in the Southeast United States generally reports good news for the environment. The fact is, coal is not only dirty, it’s uneconomical as well, and with the implementation of existing environmental controls it’s on its way out. 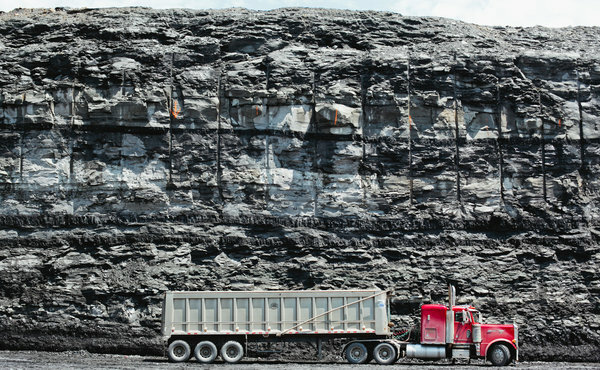 Industry blames environmental regulation for King Coal’s demise — I think environmentalists should willingly take the credit for imposing an appropriate cost accounting for coal’s externalities. Now if we could only get the same internalization of costs for nukes, and hydrofracking, we’d be well on our way to a market-based sustainable energy economy. Many of these pollutants would be significantly reduced with the retrofit, but the plant would continue to be a major source of carbon dioxide, which is blamed for global warming. “Carbon dioxide . . . is blamed for global warming”? I am constantly reminding my students to avoid the passive voice in their writing (and I used to point to the Times as an example of good style). Not only is it weak writing, it is evasive — actions happen without assigning an actor. Ronald Reagan’s famously evasive “Mistakes were made” speech in the wake of the Iran-Contra affair comes to mind. It would be easy to rewrite this sentence in the active voice — “carbon dioxide, which causes global warming” works much better stylistically, and states the proposition affirmatively. Passive voice cast doubt on the proposition as if the writer is not sure whether carbon dioxide really causes global warming, but is aware that there are some (unidentified people) out there who believe that carbon dioxide causes global warming, and feels obliged to acknowledge this fringe position without endorsing it. Think Progress has another example of false balance on climate change at the Times. If this is the best that the paper of record can do for mainstream acceptance of the scientific consensus on climate change, we are still in deep trouble. Oh yes, we are in deep trouble indeed. What you describe is no american phenomenon – I regularly observe the same issues here in germany.. the coal mining industry over here is still heavily subsidized in certain regions (even though on its own, it has not been profitable for at least 30 years!) and is equally heavily contributing to the carbon dioxide pollution. Of course, this is done to keep unemployment low – but at what cost? And guess who comes along when politicians talk about the subject? Mr. Passive Voice – a must have in every vote-hunters toolbox.